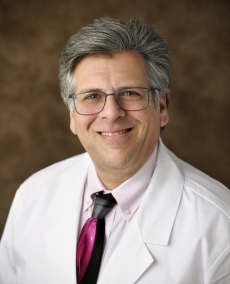 Steven Goldstein, MD, is board certified in internal medicine with a subspecialty certification in oncology. He received his medical degree from the University of Pittsburgh School of Medicine, and completed his residency in Internal Medicine and fellowship in Hematology/Oncology at the University of Michigan Medical Center in Ann Arbor. Dr. Goldstein has published over 50 peer-reviewed publications, 7 book chapters and over 90 abstracts. He most recently has been an Associate Professor at the University of Michigan Hospital and Health Systems and has served as Principal Investigator for several research trials investigating novel approaches and cellular therapies in Stem Cell Transplantation.